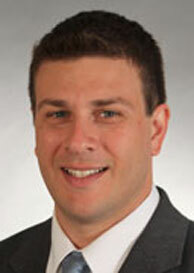 Jason Faberman is a senior economist in the economic research department of the Federal Reserve Bank of Chicago. His research focuses on the labor market, with a particular focus on the interaction between employers and workers, and how it affects the urban areas and the overall macroeconomy. Faberman’s research has been published various journals, including the Quarterly Journal of Economics, the American Economic Review, the American Economics Journal: Macroeconomics, the Journal of Monetary Economics, the Journal of Economic Perspectives, and the Journal of Regional Science. Prior to joining the Chicago Fed in 2011, Faberman served as a senior economist with the Philadelphia Fed and as a research economist with the Bureau of Labor Statistics. Faberman received a B.S. in environmental science and a B.A. in economics from Lehigh University, and an M.S. and Ph.D. in economics from the University of Maryland, College Park.